Birthdays from $165-$247! My show is filled with fun, comedy magic and audience participation! I perform in St. Louis, Mo and the Riverbend Area (Alton & Edwardsville). Your child is the star of the show assisting me several times throughout the performance! There are also a lot of great photo opportunities, as well! Chris Carpunky has more 5 star reviews than any of his competitors on GigSalad! Read his reviews from happy customers. Chris was amazing!! He was super entertaining for both children and adults! I highly recommend hiring him; you won't be disappointed! Thanks so much, Sarah! It was an honor. Found Chris contact by accident and on a last minute additional to my kids party and we ended with the most memorable moment that we could ever have. Chris was beyond amazing at my daughters 7th birthday! Chris performed at our local Halloween event and was a big hit with the kids. We are already looking to book him again next year! Chris was absolutely amazing. I spoke with him several times prior to the event and he was always quick to respond and very helpful and accomodating. Once he arrived he was extremely professional and full of fun energy. The show he performed had both kids and adults laughing and engaged. He interacted with all the children and made them all feel like they were part of the show. I had several parents tell me how great he was and his magic was awesome. I would highly reccomend Chris to anyone looking for a fun, entertaining magic show. He was great!!! I've seen Chris perform several times, mostly for preschool aged children. He is entertaining, funny, and family friendly. He transitions tricks quickly to keep the attention of 3-5 year olds for the duration of the magic show. He involves the children individually and as a group to be part of the show. My now 5 year old daughter has seen his show twice and loved it both times. We had Chris come do a magic show for our son's 7th birthday party. From beginning planning stages to the end of the show, everything went very smooth! He did a great job incorporating the kids into his show, too. We are all entertained - kids AND adults. Such a fun, family show to have. Chris was very professional in the planning stages as well as during the party. He did an outstanding job keeping the children engaged (aged 1-9 years) and having a blast! Our daughter loved having a special role during the magic show by helping Chris out with his tricks. He also made sure to include all the other children. All the adults at the party were impressed with the level of entertainment he provided. Thanks Chris for a magical 5th birthday party!!! Communicates well, keeps you informed, offers different price options for your budget, arrived on time and set up in a timely fashion...that's the business end of it. Now on to the kids And his show... FABULOUS!!! Even had all of the parents laughing along! He went so far above and beyond to make this a fabulous day for our son. All of the parents were raving about him afterwards and texting me how their kids just kept talking about the magician Silly Chris!! I don't have a single negative thing to say. So glad I found him online and he answered my email! For this year's cub scout graduation ceremony and celebration, we were lucky enough to have Chris Carpunky attend. One of the scouts said afterward, "That magician was epic!" and they all loved the wands they were able to keep as souvenirs of the performance. I would very highly recommend Mr. Chris Carpunky for your next party or assembly. He was the height of professionalism, very communicative, and an absolute pleasure to work with. I would be very surprised if we don't have him back in the future to entertain our next generation of scouts. We really can't say enough about how great Magician Chris was!! He made our twins birthday party a great success! He was awesome with the kids, so silly and funny. The kids didn't stop laughing the entire time. They were amazed at his cool tricks. He kept them all involved and entertained. Chris has great energy! I would hire him again in a heartbeat! Magician Chris Carpunky was AWESOME! My daughter had so much fun at her 6th birthday party, and has already requested that Chris comes back for her 7th birthday. He was so great with the kids, and had all of us laughing the whole time. I would highly recommend him to anyone wanting a magical day! Silly Chris is an Excellent performer for All Ages! Chris was very easy to book & communication response time was quick! He was on time for set-up and performed within the allotted time. Kids and parents were engaged and laughing throughout his performance. They loved the opportunities for audience participation. Definitely would recommend Silly Chris the Magician for any audience, from pre-school and up. Entertained 48 Kindergartners and their teachers!!! We hired Chris to perform for my daughter's Valentine party at school. He was great! The kids loved him and were entertained and engaged the whole time. The teachers and parents there loved him too! He was very funny and entertaining for all ages. I would highly recommend him for any age group!! I can not say enough good things about Chris. From the day I booked him he was always in contact with me keeping me updated. I even changed the partys date on him and he was quick to help and always responded to my emails same day. Chris's show is non stop fun and he made every kid in the room feel like they where part of the show and special. My daughter ( the birthday girl) was smiling from ear to ear the entire time. Every kid and parent had a wonderful time, you will not be disappointed with Chris, he truly is amazing at what he does. Thank you so much Chris for making my daughters birthday, you are defiantly doing what you a meant to do. Chris did a phenomenal job for our daughters 4th birthday party. We had children of all ages as well as adults at the party. Chris kept everyone entertainer and involved all the children. All the children got a magic wand, which they all played with for the rest of the party. He has great energy and a wonderful personality. This is how my daughter and her friends felt after their show with Chris at her birthday. It was such a good presentation I snapped photos of the many awestruck adults. Great show for families of all ages. We 100% recommend Chris to our friends and family! We had Chris for my son Will's birthday party. From the very beginning he was very organized and easy to work with. On time for the show and all the kids and parents really enjoyed it. He really made our son feel special. He really got Will and his friends involved with the show. I highly recommend Chris for a show. We had Silly Chris perform at our 7 yr old daughters birthday party of all girls and couldn't be happier with his performance! He had all 15 girls laughing and shouting in delight. The kids were engaged for the whole 35 mins. I had moms telling me for weeks how unique the party was and that their children couldn't stop talking about it. Thanks Silly Chris for making my daughters party great! Chris was extremely patient with us as our programming ran 1/2 hour late. He gave an excellent show that involved the kids and kept the adults laughing. His humor was appropriate for any group. Chris required very little from us, all he needed was a space to set up and he did the rest. He seated the children right up front by age to make sure that little ones had the best seating. We would gladly have him back again! Chris was absolutely phenomenal! Not only was he extremely professional,(showed up exactly on time, very quietly set up, packed up and left very quickly) he was just flawless. The kids instantly took to him and was very intrigued by him and his entire performance. The entire show was based just on kids tricks per my wishes for my son's 4th birthday party. He had the afults laughing the entire time! Our son was the highlight of the show, being his special magic assistant. His smile was just beaming the entire time. He made my son feel like the center however he included all the kids there to help also. Which was even more special. My son was even given a special wand, bunny from a trick, a picture the kids magically colored, certicates and a special birthday card that magically appeared. During the show, I glanced at my husband across the room and we just gave each other that smile, like yea we threw the most amazing birthday party!! After, everyone asked where we found Chris and just went on and on about how perfect the party was. We without a doubt owe that to Chris! I couldn't say a bad thing if I had to! FLAWLESS!! We asked "Silly Chris" to perform at our children's birthday party (turning 4 & 6). The performance was great and the kids had a blast. They laughed at his jokes and were amazed by his magic. The special birthday kids were thrilled to be an important part of the magic show and even my son, who is generally somewhat shy, felt comfortable enough with Chris to participate. The parents enjoyed some of the adult humor sprinkled throughout the performance, too. Thanks for a wonderful event, Chris. The kids will always remember your performance and I will always remember their faces while they watched you. "You were great! Thank you so much for performing at my daughter Jordan’s birthday party!Everyone really enjoyed your show. The kids had a blast! There was a perfect mix of tricks, action, and comedy. The adults appreciated your jokes and I know they thoroughly enjoyed the show as well. The humor was clean and age-appropriate for the kids, but there were also enough subtle jokes for the parents.You made my daughter’s birthday one she will always remember. I have received many compliments on your performance. If anyone asks, I would be happy to be a reference, and I would definitely recommend you for any community events as well". WOW!!!!! I CANT BELIEVE IT!!!! MOMMY THIS WAS THE BEST PARTY EVER!!!!!! THE MAGICIAN WAS AWESOME!!!!! MY GOSH HE WAS HILARIOUS!!!!! THAT WAS FANTASTIC!!!!! WHERE DID YOU FIND HIM!!!!! I HAD SO MUCH FUN!!!!!! THANKS FOR INVITING US THAT WAS THE BEST PARTY EVER!!!!! HE WAS GREAT!!!!! I hope you needed an ego boost because I'm gonna give you one. My son was over the moon with joy. He had the very best time ever, he wouldn't stop thanking me. He said "that was the best party you could have ever thought of mommy". You made one birthday boy very happy. I can not say enough thank you's to you. No need to hope it was fun or memorable because it was. And all the kids really enjoyed the show and the parents too. You did a fantastic job, really you did. Nathan does love his magic kit he keeps following me around saying "watch this trick". The way you did the whole performance was magical. You were funny and your magic was great. Your kids are only young once and to be able to give him this memory is priceless and I have you to thank for that. So thank you from the bottom of my heart for doing what you do. You put a lot of smiles on a lot of faces, and thats truly a gift. Good luck to you and if you ever need a reference I am so there for you. Can't wait to ask him back next year!!!!! Chris gave a wonderful performance for our group of developmentally handicapped adults. The class absolutely loved his show. He was funny, creative, and very accommodating to their special needs. Chris was great about involving each student in his performance which made the evening even more special for everyone. We loved it!!!! Can't wait to ask him back next year!!!!! 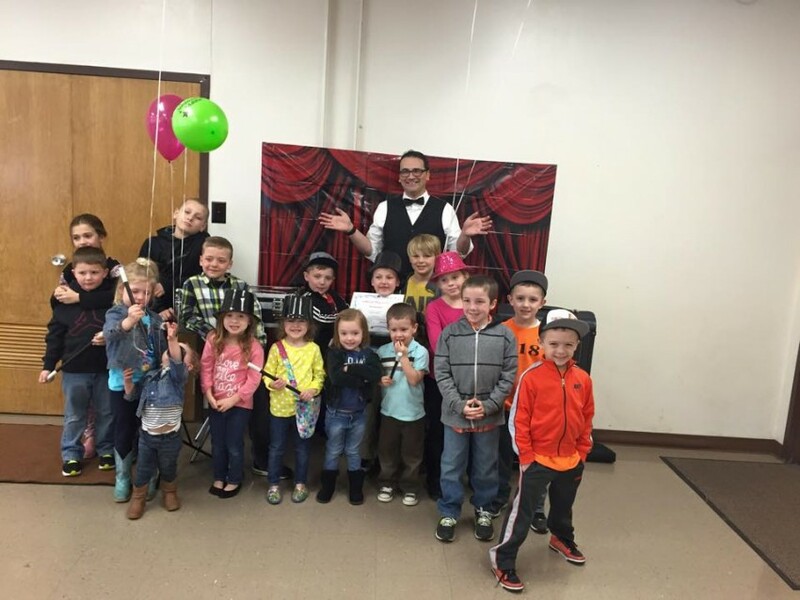 We had an amazing birthday party for my son, Aaron, with Magician Chris Carpunky on Saturday!! Thanks for a great performance - you were a hit with the kids and adults. :):) If you are looking for a great Magician for your next event - Chris Carpunky is awesome!!!! Chris was awesome. The kids enjoyed the performance so much. He really has the talent to enteract with the kids. He really made it a special day for my granddaughter. She liked being his assistant. The teacher was impressed and asked Chris for business cards to hand out. She said she is definitely recommending Chris to the PTO for future events. We taped the event and no matter how many times she watched it she laughed so much. It was a joy just watching her have so much fun. I just can't say enough about Chris. Anyone wanting to make a fun event for a birthday party call him, you won't be sorry. WHAT A GREAT PERFORMER AND A GREAT SHOW. EVERYONE LOVED HIM, KIDS AND ADULTS. VERY KID FRIENDLY AND KEPT EVERYONES ATTENTION. I WOULD HIRE HIM AGAIN IN A HEART BEAT. THANKS FOR EVERYTHING CHRIS AND GOOD LUCK IN YOUR FUTURE. YOU ARE A VERY TALENTED GUY. Chris was great!Unfortunately at my sons birthday party it was raining...he was such a trooper! He performed under a tent with a bunch of 4 year olds and they didn't even realize it was raining. He kept their attention the whole time and had them, along with the adult laughing the whole time! Thanks so much for making Aidan feel like a special magician's assistant on his big day! Chris appeared at our elementary school event which included kindergarten through 5th grade students as well as their parents and preschool siblings. We had a total of 265 people in attendance. Throughout the entire hour performance children and adults alike were captivated by his talent and humor. Every evaulation was positive. We will definitely have him back and look forward to making his program an annual event. We hired Chris for my daughter's 6th birthday party. We had 22 boys and girls (ages 5-6) and they were completely mesmerized by Chris' performance. The kids were totally engaged and amazed at the magic being performed. My daughter was the "special assistant" and loved getting to be part of the magic. I'd definitely recommend Chris for this age group! Excellent entertainer!!! 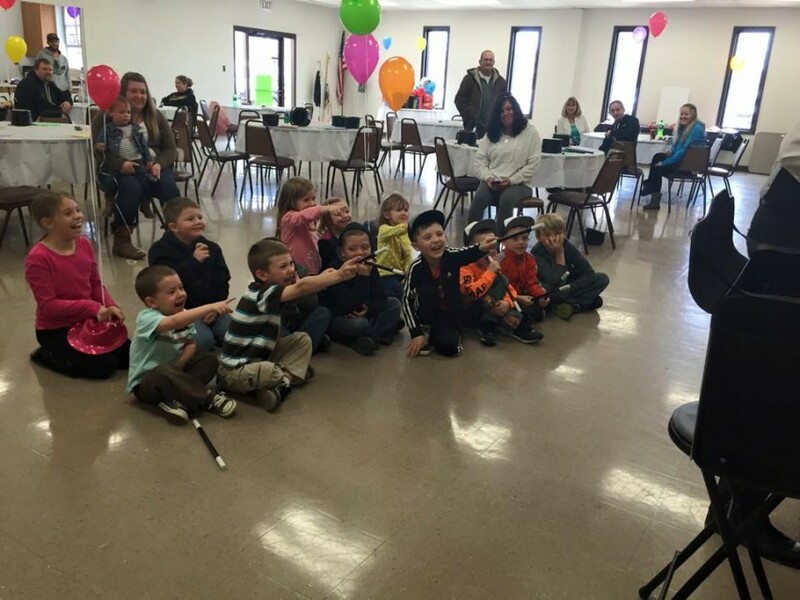 Because of you, Caleb's 5th birthday party was a memorable one! You kept the kids and the adults intrigued the entire performance. I will definitely refer you to friends and family. Highly recommended!!! Chris was awesome!!! Caleb was so happy the entire time and all night last night we were helping him learn his new magic tricks, and the wands were a hit too. Thanks again for coming all the way down here, we truly appreciate you helping us making his day so special and your talent is awesome! We will definitely keep you in mind for future events!!" Chris is an amazing performer! Not only was he early and organized, but he also provided 45 minutes of non-stop entertainment for my child's birthday party. He knew exactly how to please his audience and he had the whole room (40+ people) in hysterics. The kids can't stop talking about the show--it will be a fond memory forever! We celebrated 3 birthdays in our family and wanted a magician to entertain our whole family. Our ages ranged from 7 to 89. The actual birthdays we celebrated, Grandpa, 68, Son 35 and Grandson 15. Chris was fantastic. Between his comedy and his magic, he entertained us all. I really enjoyed seeing our whole family laughing, some to the point of tears. Chris had each of the grandchildren, our son and my husband (Grandpa) help him with his magic. He was great with the younger grandchildren - Who thought he was an "Awesome Magician" The 12 to 17 year olds and adults enjoyed both his comedy and magic. He prepared age appropriate material and presented good family comedy. I would like to express my thanks for last night. The show was amazing and the kids had a blast. This was the Park and Recs 26th Halloween Party and my 6th. It was the largest group that I have seen so far. We prepared 200 bags of candy for the children and ended the night with just one bag left! I believe your show had a lot to do with our success. Thanks again and hopefully we can work together next year. I held a family party for my daughter's 4th b-day and we also celebrated other family members with a b-day that month. I wanted to find entertainment that would be fun for all ages since there were 20 adults and only 4 kids at the party. Chris exceeded my expectations of a magician; he was very funny and talented. Everyone is still telling me about how much fun they had. I would highly recommend Chris to anyone looking for great entertainment at an affordable price. Thank you for a great show. After Chris left everyone was talking about how impressed they were and thought he was very funny and appealed to all ages. The next day when we saw some of the family again they had to say again how much fun they had. Everyone wanted to know where he was from and how I found him. "Thanks you sooo much for a Fantastic show....the kids LOVED it!! I am sure you will seeing us again!! Thanks for making Brennen's Birthday a lot of FUN!!" Having Chris perform at my son's birthday party made it, by far the best party we have had!! He was so good with the kids as well as entertaining for the parents that stayed. Chris was very polite, professional, and knowledgeable in his craft. His act was very seamless. We can't wait to see him again. Thank you, Chris Carpunky!! Thanks for giving us some great memories for Timothy's 6th birthday party! He had a great time, and did not take off his hat or put down his magic wand for a very long time after you left. He made a point to show it to every parent as they came to pick up their kids, and told them "thank you for coming to see me in my magic clothes. Pure awesome.Let us know if you can use a recommendation, etc. Mr. Carpunky - Was great! I am so happy that we chose him for our daughter's 4th birthday party. We had about 25 kids, our ages varied from about 3-8 years old, and for the entire show all of the kids were entertained. I wish I could upload some of my photos so that you could see the kids faces in amazement and awe. Price Range: $165 & Up! 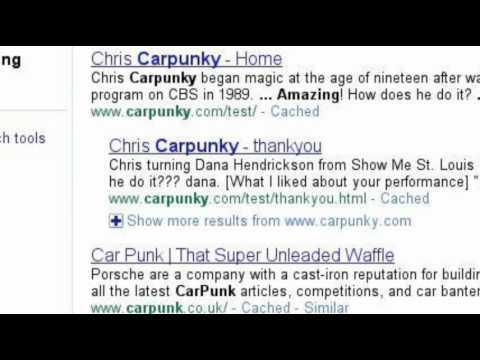 Chris Carpunky has been featured in over 20 newspaper articles since 1990 which three of them were on the front page. He has been in two local television commericials. 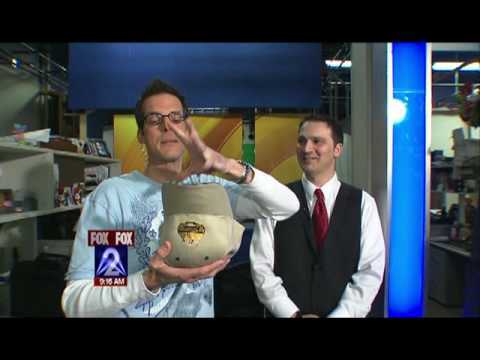 He has appeared on Fox2 news twice and on Show Me St. Louis twice, as well. Chris Carpunky was the second youngest magician to teach magic at a university. The first, was David Copperfield. Chris won the 2011 and 2012 Five Star Award for having the most 5 star reviews from the nation's largest booking agency (Gigmasters). 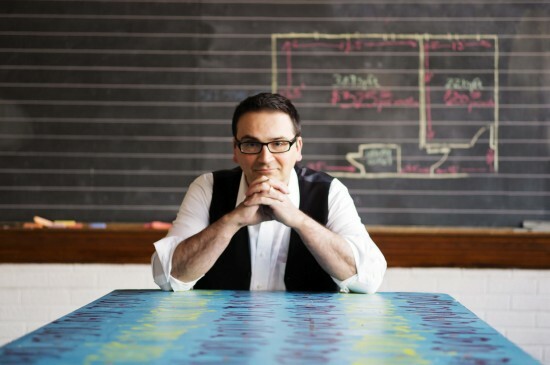 Chris Carpunky founded the first magic theater in the St. Louis Metro area in 2014. However, after trying to fulfill previous engagements and his demand for shows in the St. Louis area after 16 performances he temporarily stopped the weekly theater shows. Plans are in the making for opening it up again! PA System for larger venues. Audience facing in front of me and not behind or beside me.